Notes: The circular route from Newcastle to Newcastle via Tynemouth and Whitley Bay opened on 22nd June 1839 but it is unclear if Percy Main opened with the line as it didn't appear in company timetables until 14th November1840. It was sited just east of the junction with the Riverside branch and was also served by Riverside trains to Tynemouth from 1st May 1879. 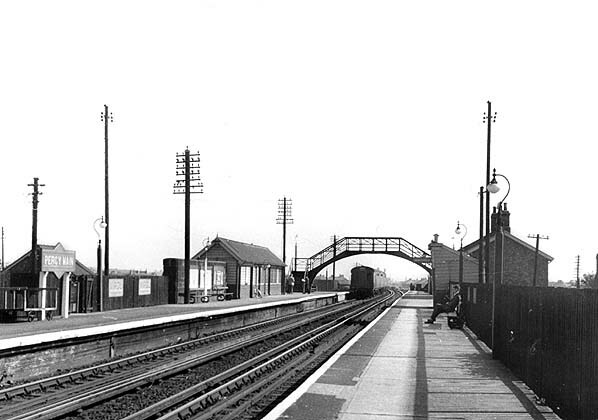 The station consisted of two side platforms spanned by a metal lattice footbridge, The up (S) platform had a two storey brick building with its upper storey reaching the platform on the embankment with the small timber waiting shelter on the down platform and a signalbox at the east end of the station. 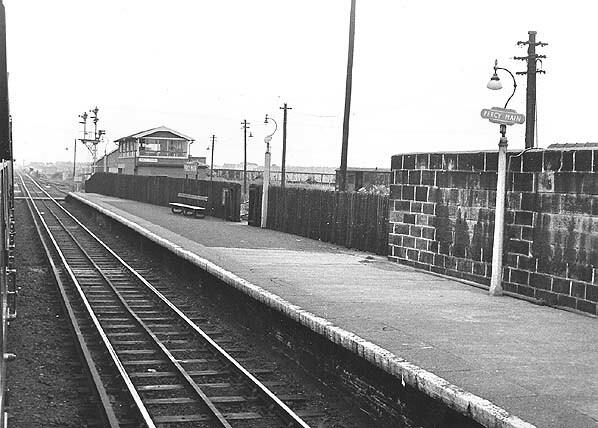 The goods service was withdrawn from the station on 29th April 1968. 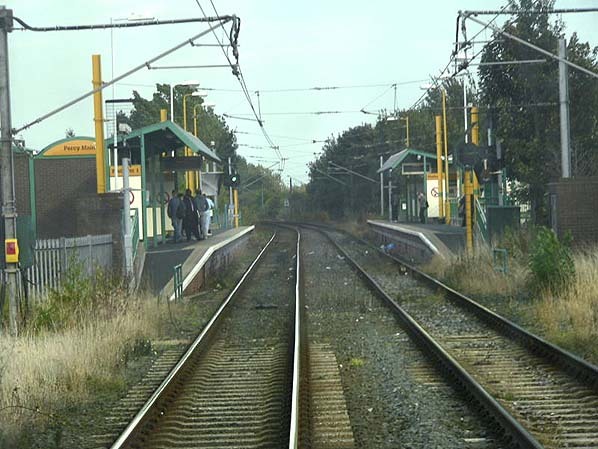 The station closed on 11th October 1980 for the construction of the Tyne & Wear Metro. The platforms and buildings were demolished and a new station was built on the site with shorter platforms, opening on 14th November 1982. The footbridge has been preserved at the National Railway Museum at York. Closure was recommended in The Reshaping of British Railways (Beeching Report). Revealing the implications of the proposals for the North East , Newcastle Evening Chronicle of 27 March 1963 had a feature on the Riverside branch, emphasizing the importance of the line to its users, with a description of a journey by the 7.08 from Tynemouth. The reporter's references to Point Pleasant were less than complimentary.